Peeling fruit can be a laborious and painstaking task, specially if the fruit is particularly small. Fortunately, in the case of citrus, this can be accomplished by a technique called enzymatic peeling. 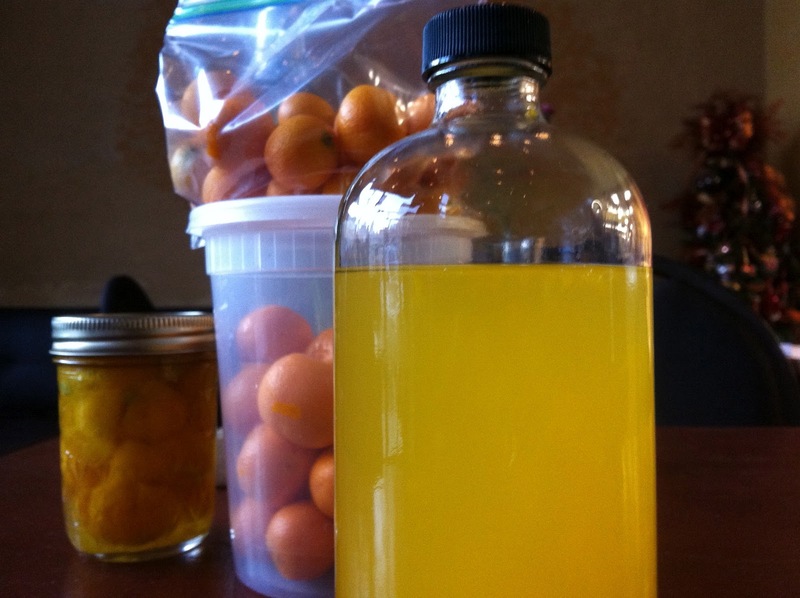 Basically, pectin is a complex carbohydrate that is the major component of the white part of the citrus — the albedo or "pith" —and by introducing an enzyme called pectinase (various commercial food grade versions of this exist) through little holes in the rind, the pectin is digested away, leaving beautifully peeled citrus fruit. You'll have to see the pictures, which, incidentally, also leave the rind largely intact. Then again, the act of peeling small animals, particularly vertebrates like birds or rodents, can also be laborious. Can we bring the benefits of enzymatic peeling to animal butchery? To do this, we need to understand a little bit about animal anatomy and tissue structure. Between bundles of muscle, and attaching it to the skin are the tough connective tissue collectively called the fascia. Sometimes, bacteria or other microbes can infect the fascia, resulting in its degradation - a condition called necrotizing fasciitis. More commonly, it's called the "flesh eating bacteria syndrome", because the flesh falls apart as the fascia is degraded. One of the enzymes thought be responsible is called hyaluronidase, which degrades the carbohydrate hyaluronic acid, a major component of the extracellular matrix of the fascia. Hypothetically, one can inject an animal corpse with commercial food grade hyalorunidase, and given enough time, the fascia will break down, and you can simply slip the skin off. As a side note, hyalorunic acid serves diverse roles in a vertebrate body, from providing suppleness in skin (hence its popularity as an ingredient in many cosmetic products) to the resiliency of joints. But it also serves an important role in cancer development and prevention. The naked mole rat is the only mammal known to be immune to cancer, and it turns out that this is linked to their ability to produce a lot of hyaluronic acid. But that is also why they look the way they do - very wrinkly.